A customer journey map is a visual tool that shows how satisfied your customers are on every step of using your product. By looking at the map, you could quickly see where you're doing well (satisfying your users) and when you need to improve. 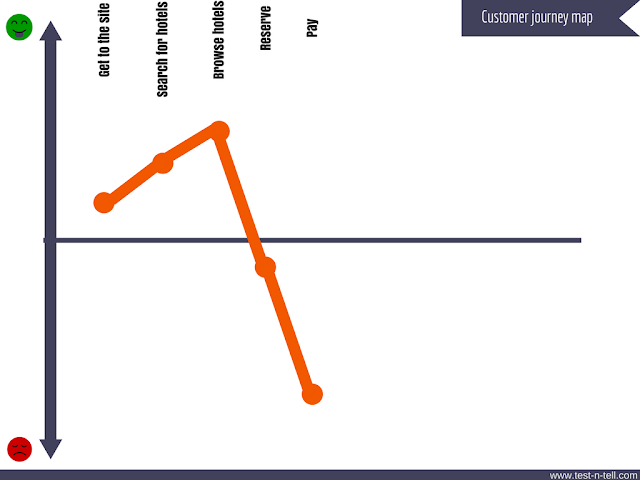 Here is an example of a simple customer journey map. On this map, which steps should be improved first? How would a customer remember your product experience? Would it be a cumulative impression? Or a sum of both positive and negative experiences? Maybe only "last words" matter? It turns out that our memory is quite selective when it comes to remembering an experience. Curt Arledge, in his insightful Smashing Magazine article, outlines the most important factors that will define our memory about an experience. You heard about that before. The beginning is significant. If your customers type in the URL to your website and get a 404 error, odds are they would never try again. What does it mean for a customer journey map? 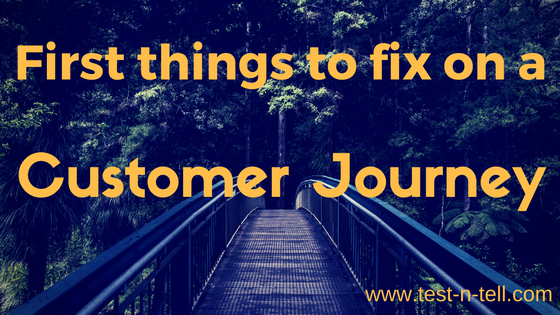 If customer satisfaction at the beginning of your journey is low - fix it asap. You might not get a second chance. We naturally remember either the best or the worst moments of our experiences. Do you remember boring Mondays or epic Fridays? Same with your customer's journey. A customer would remember the highest or/and the lowest points of an experience. Avoid the low points, maximize the high. If you have major dissatisfaction points in your customer journey - fix them at least to a neutral level. If you have (and you should) major delightful moments - optimize them to the highest possible level. A tip: perceived losses always stronger than gains. If you have the similarly high satisfying and dissatisfying moments, most likely your customers would remember dissatisfying ones. "Last words" do make a difference. The final moments of your product's journey are the major contributors to customer's memories of the entire experience. If after a delightful journey of picking products and making an order your customer cannot pay - the memory of this experience would be terrible. The ending must be a strong delighter. Identify the ending of your customer journey. What is it? A success page? Email confirmation? A message? Whatever the ending is - it should delight. Why are good memories of an experience so important? Think about a problem you recently needed to solve. What was the first solution you thought about? I bet it was a solution you have good memories about. Some people might remember the only solution to a problem even if it was a nightmare to use. If your product has a total monopoly on a problem then congratulations, it will be used anyway. If not (and most of us have competitors) - you need to care about good experience and good memories of your customers using your product.